Keeping tabs on your personal vehicle is one thing, but what do you do when you have a lot full of cars to track and keep safe? 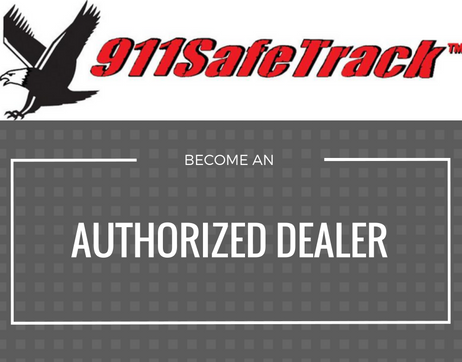 At 911SafeTrack we make it easy for you. By installing an S4 device- a simple task- on each vehicle, you have constant access to the whereabouts of the car. It will also increase your profits and give you the opportunity to offer a greater service to your customers. Not only will they leave your lot with their new vehicle, but they can do so with peace of mind. You can also contact your liability insurance company and work out a lower premium due to the lower risk of vehicle theft. The S4 vehicle security system puts you in charge as it follows the instructions that you text it from your phone. S4 will alert you immediately if one of your cars has made an unauthorized movement. You can then call the S4 to connect a 3-way call to the 911-operator located closest to your vehicle. There is no call center- you will be connected directly to the police within seconds. No other anti-theft system on the market has this capability. The S4 also allows you to check the location of your vehicle at anytime via text message. You’ll then receive a text response from the S4 showing the speed the vehicle is going, the direction it is heading in, and exactly where it is via Google Maps. You’ll also have the ability to disable or enable the starter and unlock the car doors with a secure text message. There is no activation fee, no contract or cancellation fees, and a 911SafeTrack 30 day risk free guarantee. You can cancel your plan or begin a new plan at any time. There is complete security with thanks to your secret PIN, along with complete privacy as location texts go directly to your phone and is never stored or sent using the internet. Contact us today for more information and to keep your vehicles safe! Call 877-427-7294 or email us at info@911SafeTrack.com. Next Next post: Your Information Is Safe With Us!